Fea­tur­ing inter­views with Gavin Mead­ows and Geor­gia Coates, as well as tips on how to stay healthy this winter. The final club shop of this year will be Mon­day 18 Decem­ber until it reopens on Mon­day 15 Jan­u­ary. Please ensure you have caps, gog­gles etc. for our New Year meet on 6 & 7 Jan­u­ary 2018. Cur­rent­ly, the club shop does not have the facil­i­ty to accept card pay­ments for kit, club fees etc. but can process cash or cheques. Apolo­gies for any incon­ve­nience this may cause. The team return from Cor­by tri­umphant after win­ning the Junior League Grand Final for the fifth time. 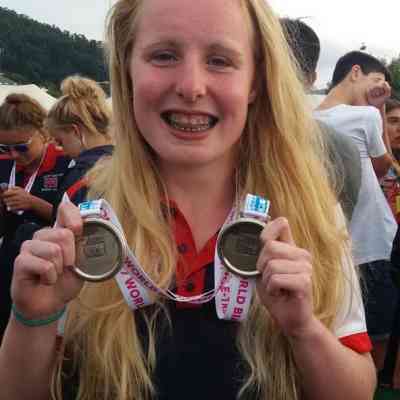 Hav­ing secured her place in the Team GB squad by fin­ish­ing in the top 5 at the British Nation­al Biath­le Cham­pi­onships, Abbie won a sil­ver medal in the Biath­le under 19 cat­e­go­ry at the World Biath­le and Triath­le Cham­pi­onships in Viveiro, Spain. A num­ber of FINA rule changes came into force on 2 Octo­ber 2017, some of which are changes to stroke require­ments, includ­ing the pro­hi­bi­tion of under­wa­ter kick­ing on one’s side dur­ing Butterfly. We’ve list­ed the most notable updates, along with the PDF issued by Offi­cials News, which doc­u­ments all rule changes in full. 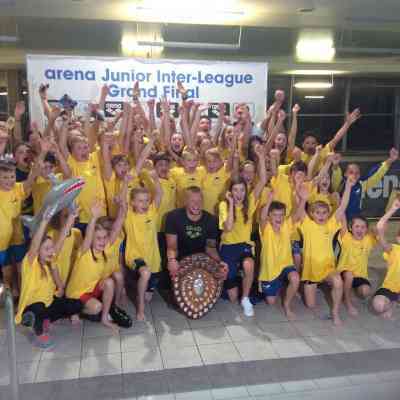 A fan­tas­tic day of rac­ing saw the City of Leeds crowned win­ners of the Nation­al Junior League North­ern Final. The City of Leeds Christ­mas Meet 2017 and City of Leeds New Year Meet 2018 will now be short course (25m) due to a long-stand­ing tech­ni­cal fault with the long course con­fig­u­ra­tion, which is under­go­ing repair. We apol­o­gise for any inconvenience. 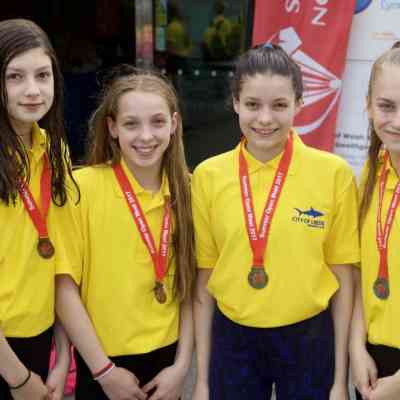 The team has been select­ed for this year’s Junior League North­ern Final to be held on Sun­day 1st Octo­ber at Tynemouth Pool. 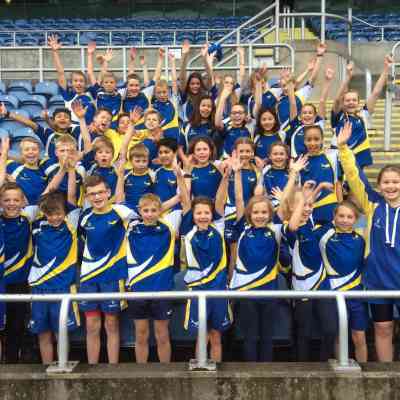 You must con­firm your child’s avail­abil­i­ty, via e-mail to our Junior League Team Leader, kevin.​schofield@​leeds.​gov.​uk, no lat­er than Fri­day 1st September. Con­grat­u­la­tions to our Junior League teams, who fin­ished 1st and 5th in the White Rose League on Sat­ur­day morn­ing. The ​‘A’ Team have pro­gressed to the North­ern Area Final with a con­vinc­ing win, which includ­ed 23 1st place fin­ish­es. They won by a mas­sive 76 points! Many thanks to the coach­es, team man­agers and offi­cials who vol­un­tar­i­ly gave up their time to sup­port the teams. ‘A’ and ​‘B’ teams have been select­ed for the White Rose Junior League com­pe­ti­tion to be held on Sat­ur­day 8 July at John Charles Cen­tre for Sport. Please con­firm your avail­abil­i­ty to Kevin Schofield no lat­er than Fri­day 16 June. Click through for more info on the day. 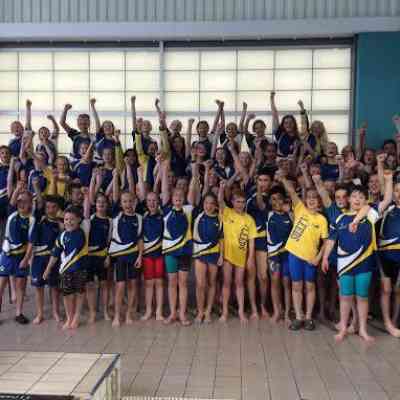 Well done to every­one who com­pet­ed hard over the last cou­ple of week­ends and brought home over 40 medals from the region­al age group championships. Well done to every­one who com­pet­ed hard over the last cou­ple of week­ends and brought home almost 30 medals from the region­al youth and senior championships. The dates for the 2017 – 18 season’s Devel­op­ment meets have been set and can be found on the Meets page. The City of Leeds Sum­mer Meet 2017 will now be a short course (25m) meet due to a tech­ni­cal fault with the long course con­fig­u­ra­tion, which is under­go­ing repair. We apol­o­gise for any inconvenience. Update 05/05/17: See the updat­ed sched­ule of events for the com­bined meet, which is due to be held on the week­ends of 20/21 May and 27/28/29 May. The NER Youth and Senior Cham­pi­onships that were due to be held this week­end have been can­celled. See the arti­cle on the NER ASA web­site for more details. Update 22/03/17: The rejec­tion list and a draft pro­gramme is now avail­able to down­load on the Nation­al Qual­i­fi­er Meet 2017 page. Dur­ing the last few days lead­ing up to the 10th March clos­ing date, we had a huge influx of entries. Because of this, a large num­ber of entries will need to be reject­ed to ensure that the com­pe­ti­tion fits with­in the licenc­ing lim­its. We regret that this is tak­ing some time, but as soon as the list of rejec­tions is com­plete, it will be post­ed on our website. 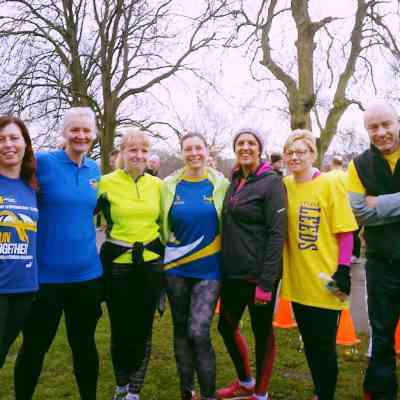 Well done and thank you to every­one who took part in the Parkrun on Sat­ur­day morn­ing to raise mon­ey for the club. Your efforts are much appreciated. All refund pay­ments will now be made to the Trea­sur­er of the vis­it­ing swim­ming club in ques­tion. Indi­vid­ual pay­ments will no longer be made. 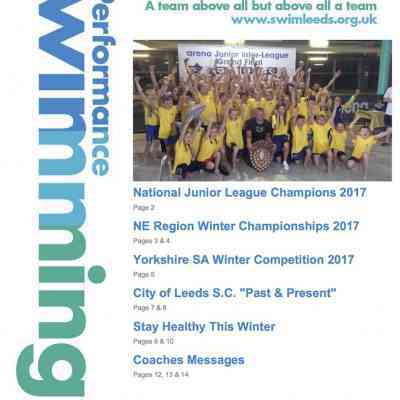 For this rea­son, please ensure that bank details for your swim­ming club are pro­vid­ed at the time of enter­ing any City of Leeds SC competition. Update 28/02/17: We will be meet­ing at the pool for 08:30 or at Cross Flatts Park just before 09:00. Please make sure to wear your City of Leeds T-shirts! 9am on Sat­ur­day 4th March at Cross Flatts Park. It’s time for you to dust off those train­ers and show the kids what we’re made of. Whether you want to be super speedy, jog, plod or walk with the dog, join us and raise mon­ey for the club. You can get your spon­sor form from Helen or Lucie at the club night bookstall. Before tak­ing part, you’ll need to reg­is­ter for free on the Parkrun web­site . Also note that chil­dren tak­ing part aged 11 and under must be accom­pa­nied by an adult.